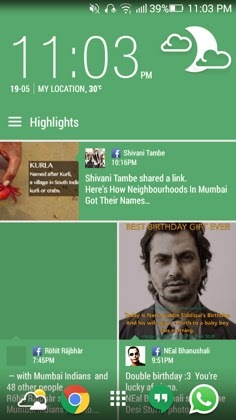 HTC Blinkfeed (Sense 8/7/6), Although HTC is not performing well currently against other Smartphone makers but it has got a really positive feature i.e HTC’s Blinkfeed. 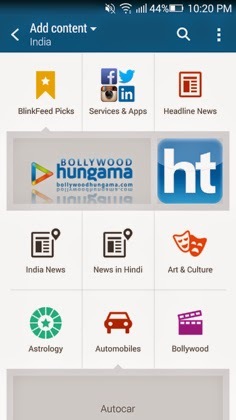 Being the most Popular & loved Homescreen Blinkfeed has got some really cool features which is well said by the Tagline HTC Blinkfeed™ : Your world in one screen which means all your Social media Stuffs, Daily News & other stuffs in your homescreen which are arranged in a very beautiful manner. 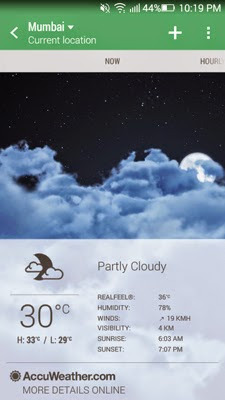 I personally being a Blinkfeed fan couldn’t resist myself to post this cool App made by one of XDA member Xpirit. 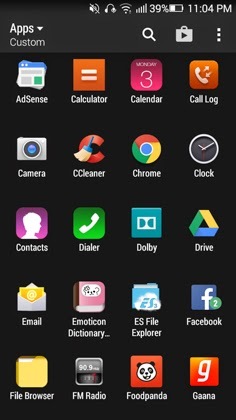 This Blinkfeed is extracted from the latest HTC Phones i.e M8 & M9 so it is exactly similar to the original one which has tones of customization options & a very Attractive looks which gives a Premium look to your Smartphone’s homescreen. Install this is too easy, all you have to do is install this Apk files normally. Get up-to-date in an instant. Enjoy social posts, breaking news, sports updates and more—all based on what you like, all in one place. HTC Sense Home combines the power of BlinkFeed and the Sense Home widget to create a fully customizable and deeply personal experience. Apps and content appear automatically when you need them. Let’s start with the process of Installing Original HTC Blinkfeed in any Android. 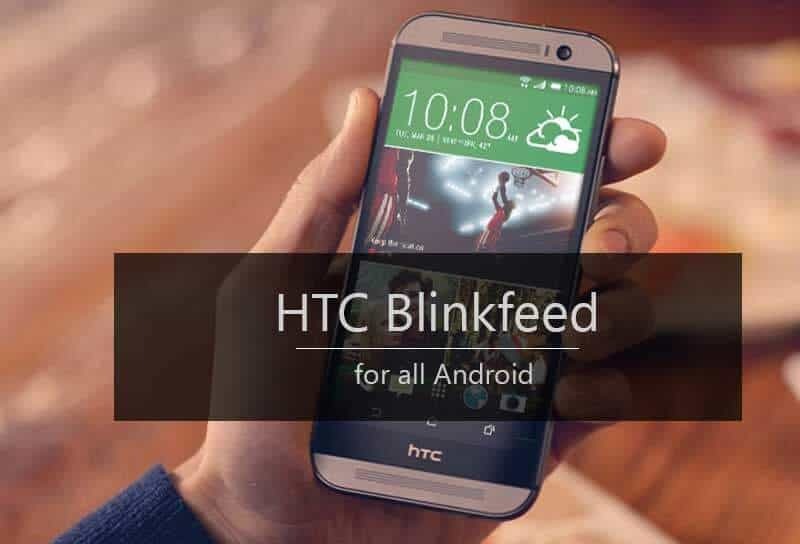 What is HTC BlinkFeed™ ? 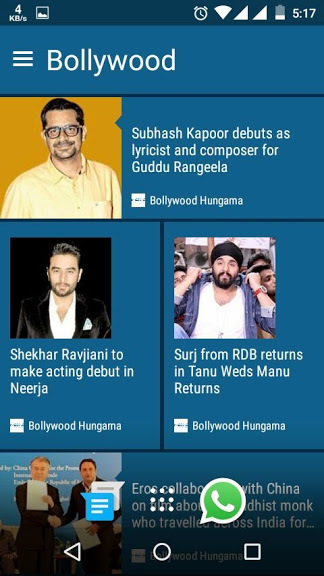 Personalize your own stream of online content in seconds, and stay updated in a glance. Swipe your home screen once for new Facebook posts, Twitter feeds, breaking news, sports scores, and a lot more. If you browse for it online, it’s on your HTC BlinkFeed. Only much easier to find. Over ten thousand sources from all over. Facebook, Twitter, ESPN, MTV, The Huffington Post, and many, many more. You’ll also get recommendations for nearby restaurants, cafés and bars from BlinkFeed. Offline Reading mode lets you save articles to read later when you’re on a plane, travelling abroad or just on-the-go. 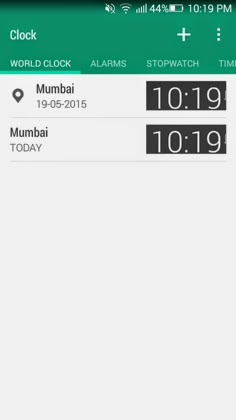 I have taken some screenshots by installing this on my Lenovo A6000 running on Android 4.4.4 with a custom skin VibeUI. 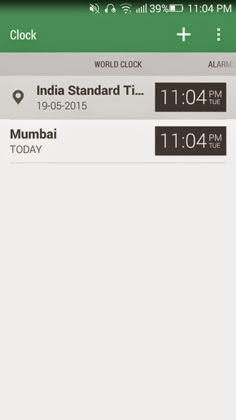 But, i’m also attaching a screenshot from AndroidOne Phone to show you how it looks in stock Android. 1. How to Install ? > Download the zip file, extract it through any zip extractor then install all the Apk files normally. 2. 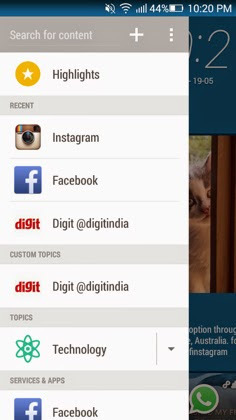 How to show Facebook, Instagram & GooglePlus in Blinkfeed ? > After installing all the Apks install the Plugins given just below the link. Now, Go to BlinkFeed drag to left to see a Bar which shows Add Content for Sense 7 & 3 dots at the top corner in Sense 6. 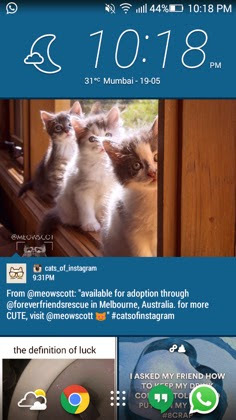 Go to Services & Apps and select Facebook,Instagram etc & Grant Permission. Google Plus is currently not working with Sense 7. If you don’t understand anything you can head over to the Official thread of this App : HTC BlinkFeed | Sense7-6. If you really like this stuffs please make a small donation for Xpirit which would help him make more improvements in this. Don’t forget to share this post with all the BlinkFeed lovers. You can also ask your doubts in the comment section, I would be glad to help you.